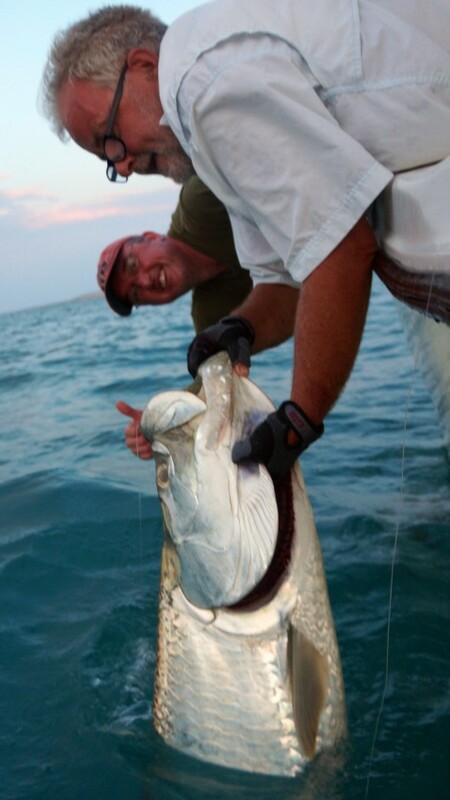 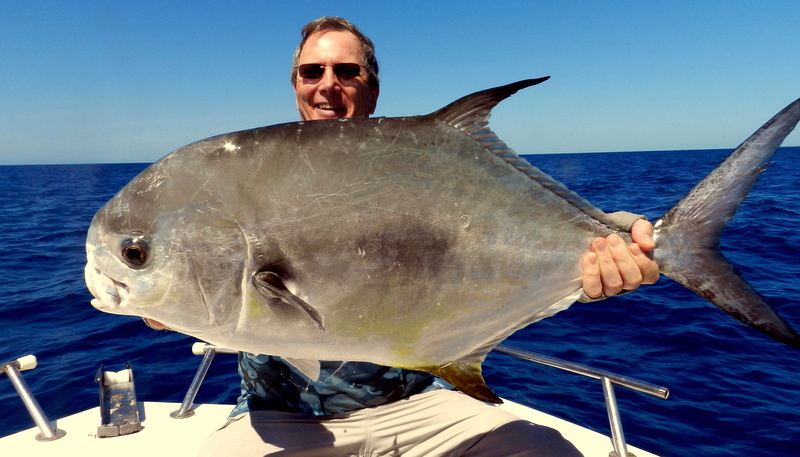 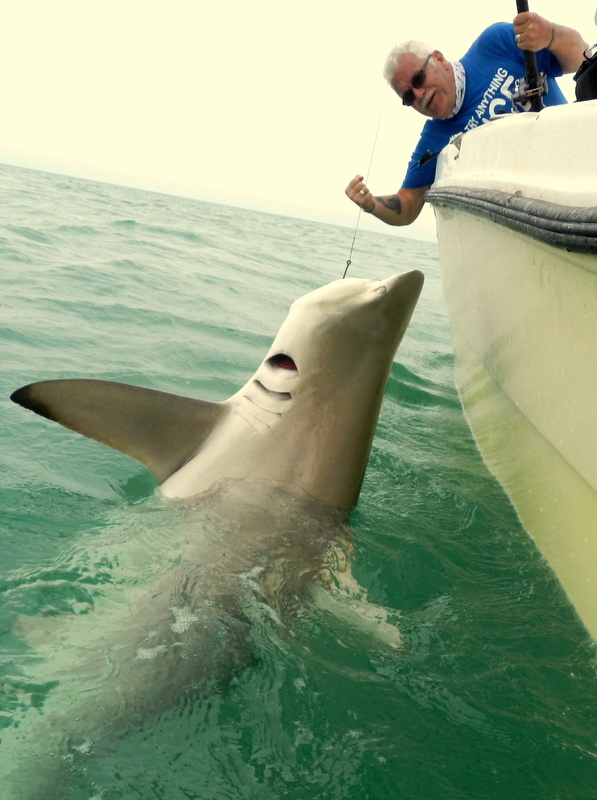 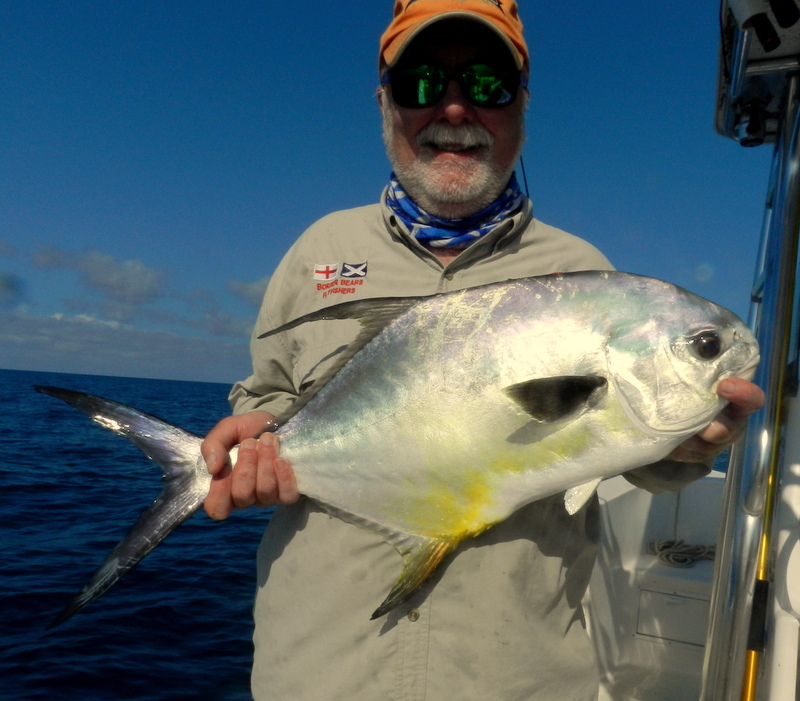 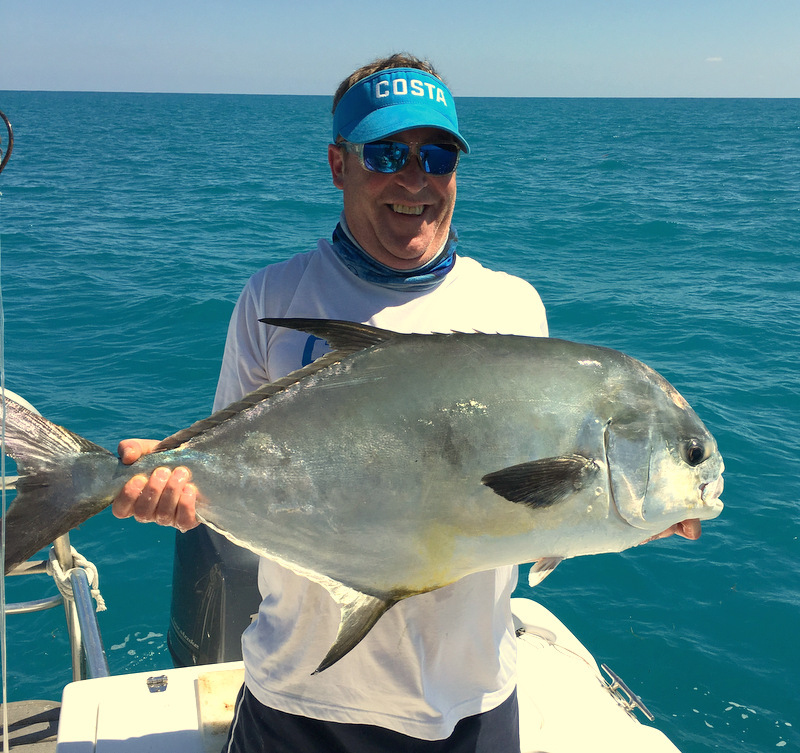 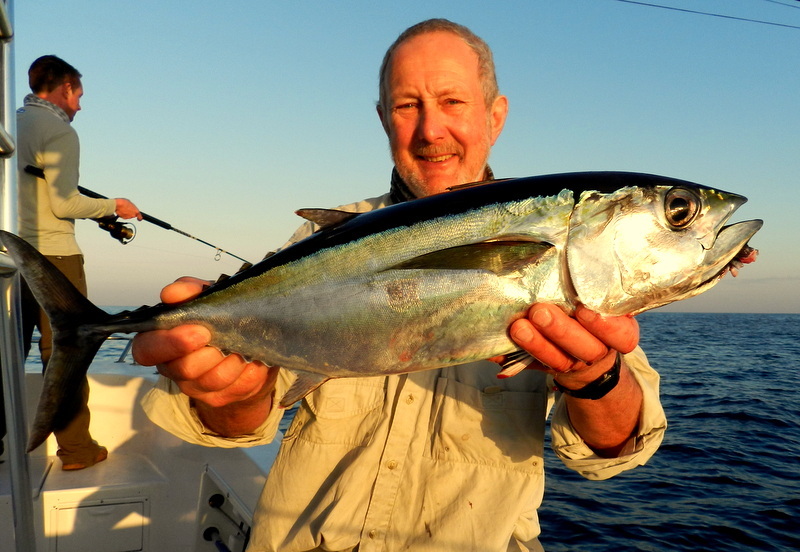 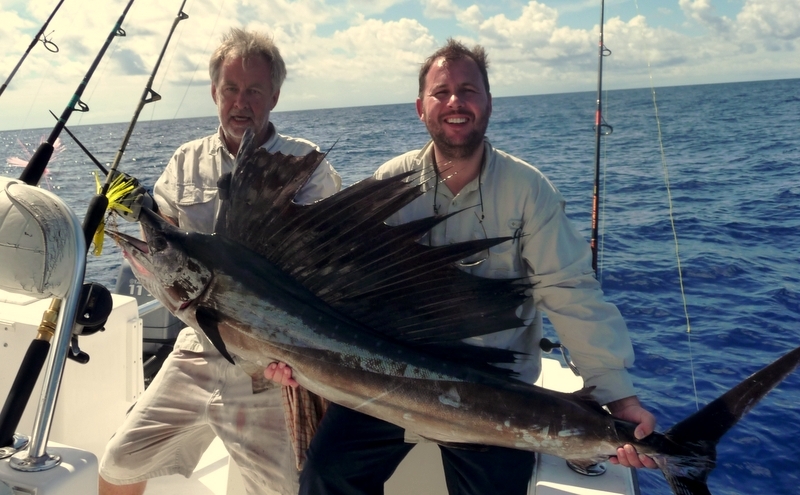 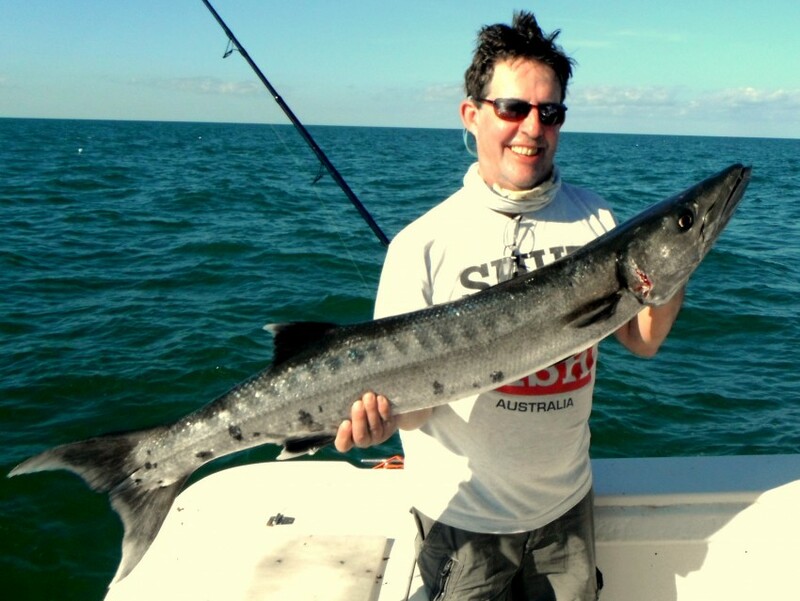 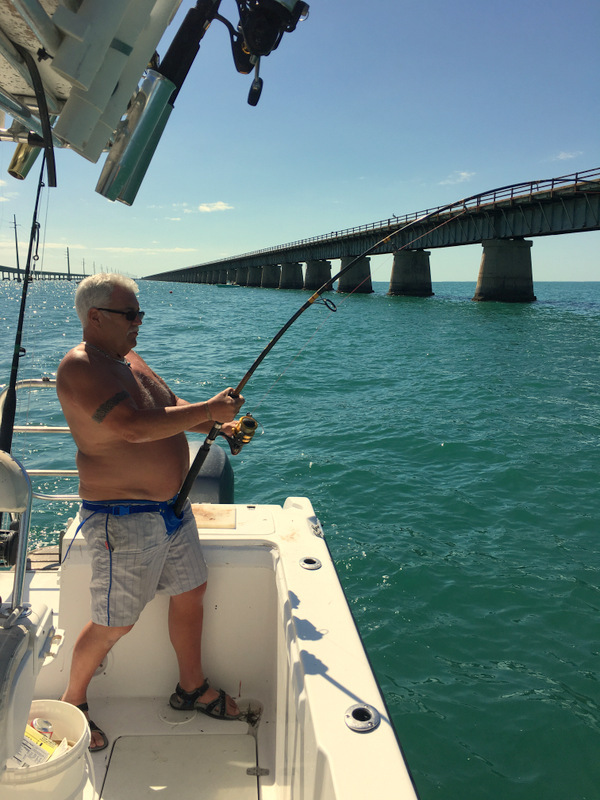 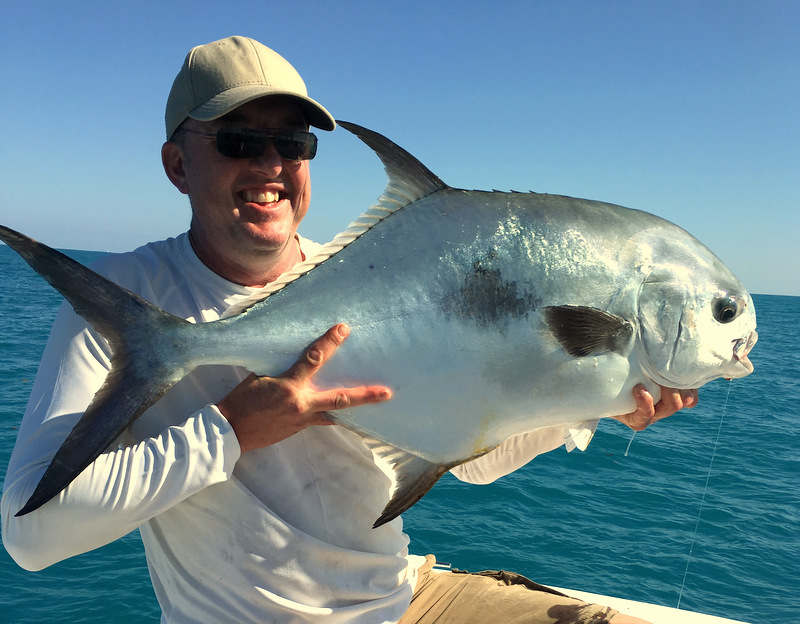 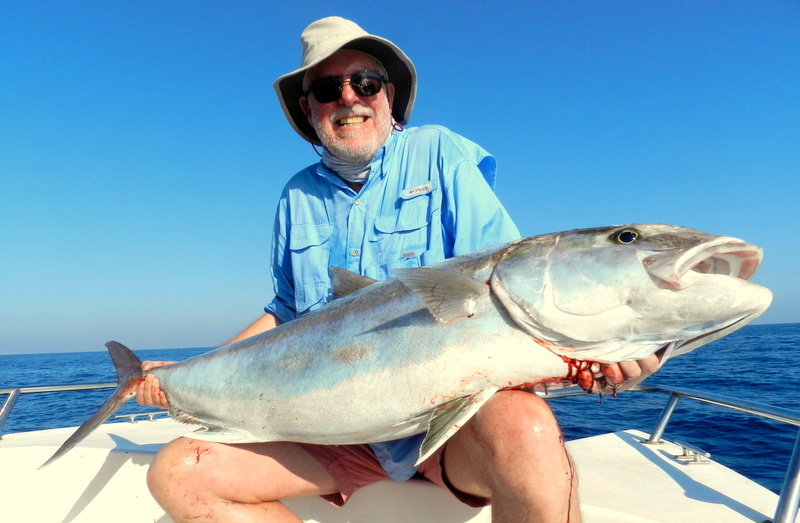 In all many years now our fourteen of doing Fishing Holidays in the Florida Keys the most coveted weeks are late April and early May often booking up years in advance. 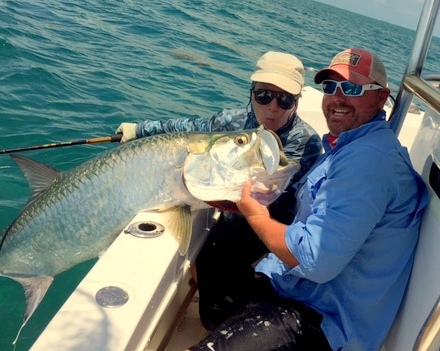 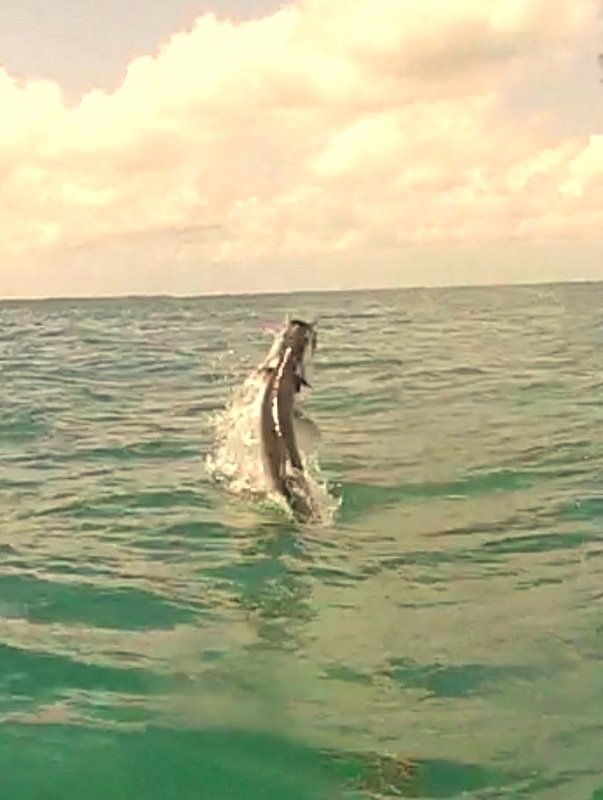 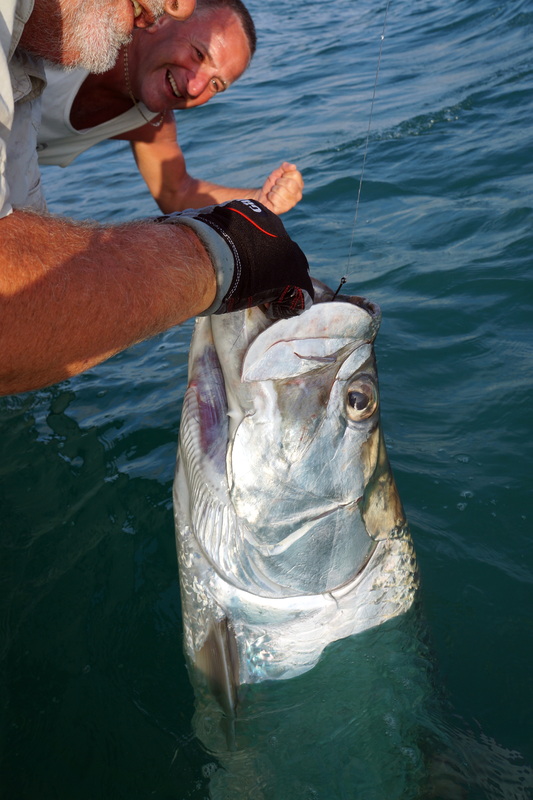 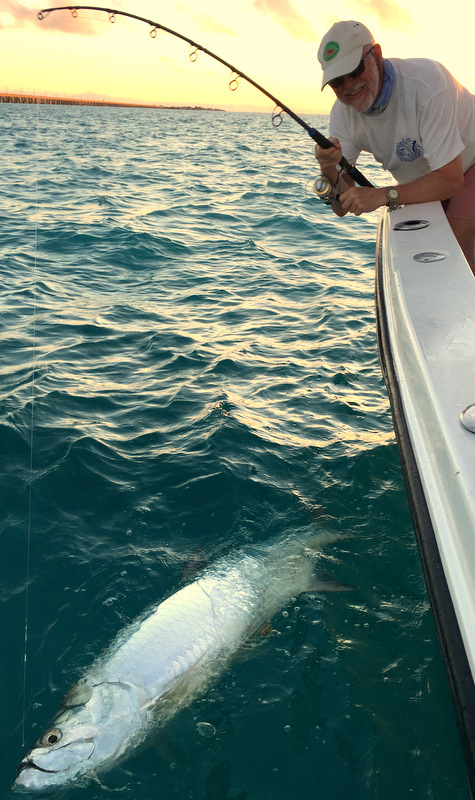 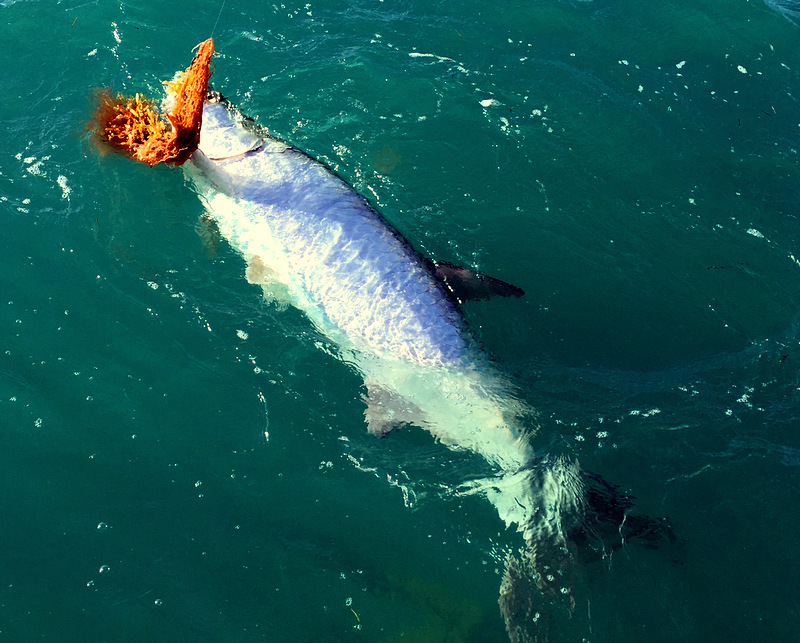 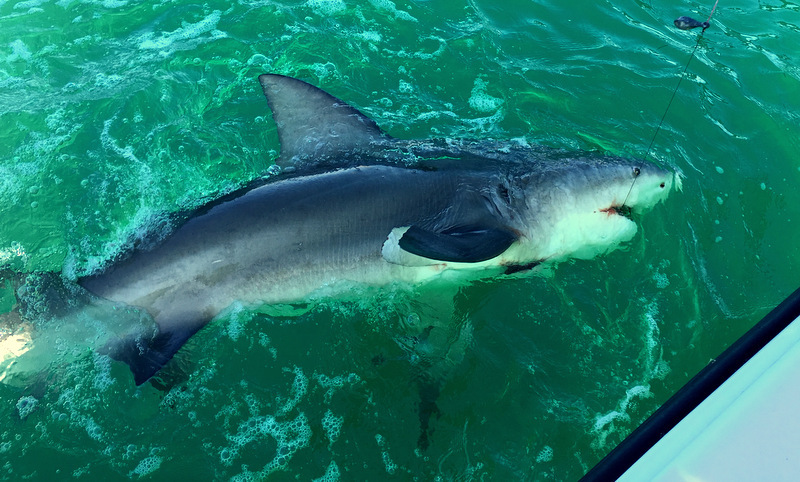 The reason being the migration of the iconic tarpon through the Florida Keys and the annual spawn of the famous permit on the wrecks just offshore. 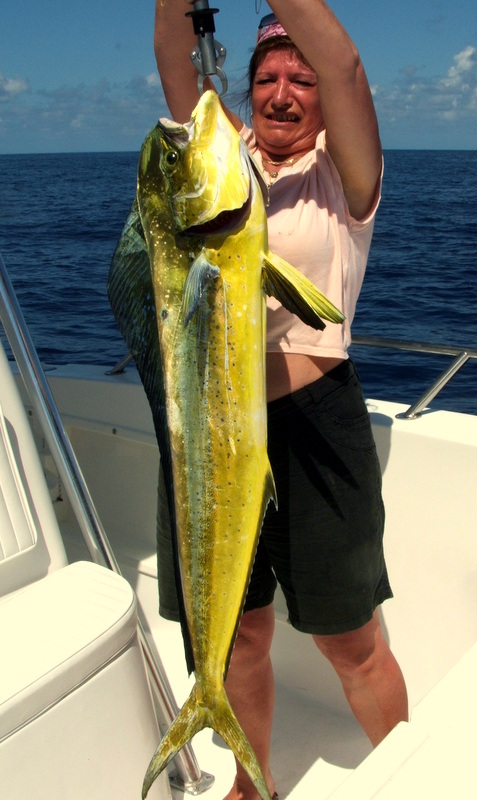 Both fish the reason people have been coming to the Keys for many a years and many years to come. 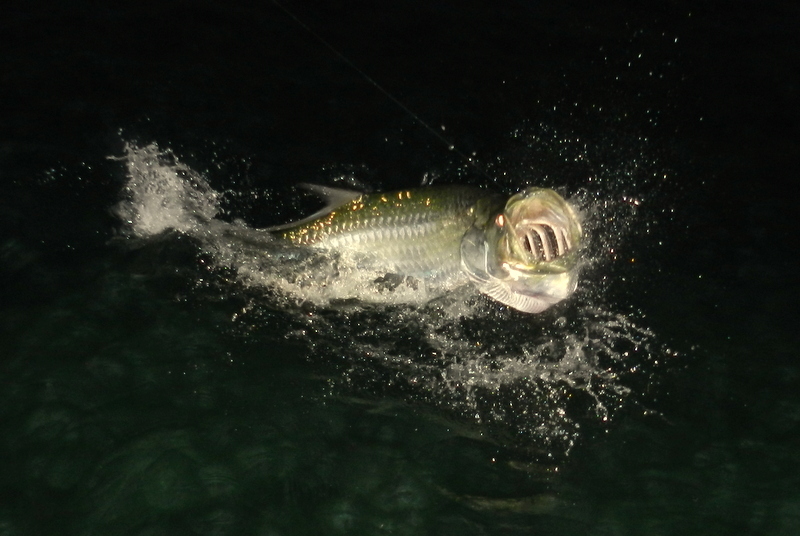 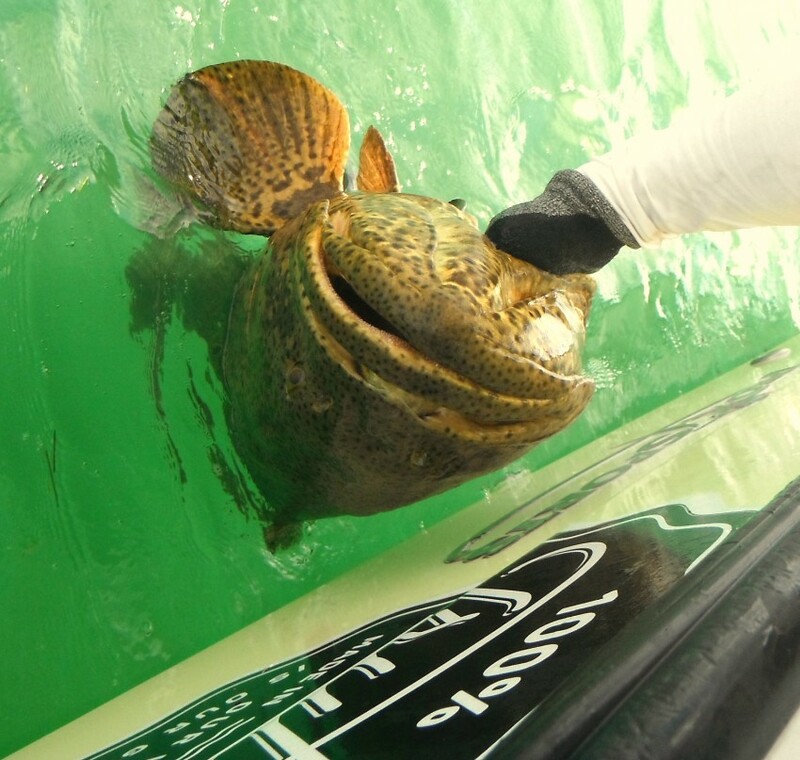 Both fish now have new protection and the superb way sport fish are manged in Florida the fishing will only get better. 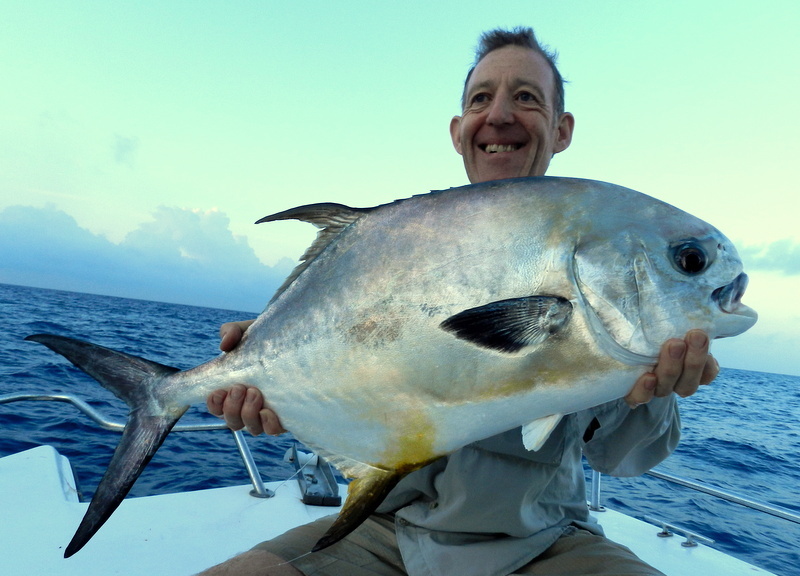 The only problem this year is that for the first time in nearly 20 years I am stuck in the UK to ill to fly some new hope however after recent operations and a somewhat larger than I hope muscle biopsy my team have a small lead and I am being transferred the main university hospital in Edinburgh so fingers crossed. 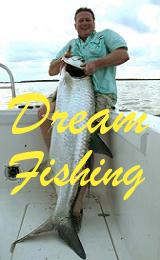 The only slight problem I have and slighty annoying one is that Capt Drew seems to doing just fine with out me we are in touch on a daily basis and Drew seems more than capable and with some help on the phone and internet all is going well and the photos are prof. Drew seems to like fishing live mullet at night where I used to like early morning and crab but the other day with just two anglers he had a 2 for 2 evening you just cant ask for more than that. 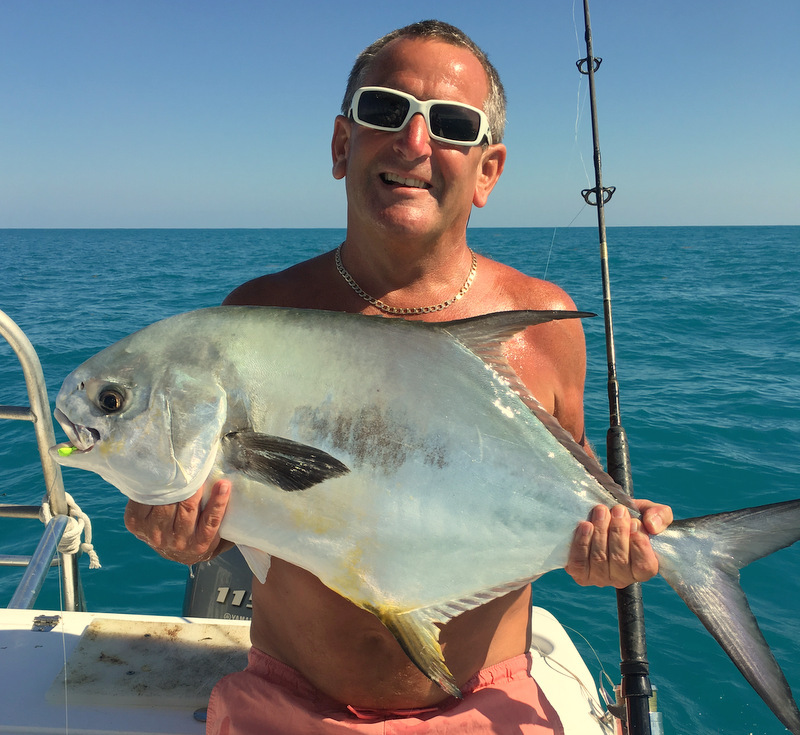 Drew is also smashing PB’s both for the boat and groups of anglers just last week he had Kevin’s group and on one permit trip not one but all four anglers broke their PB’s for permit top marks. 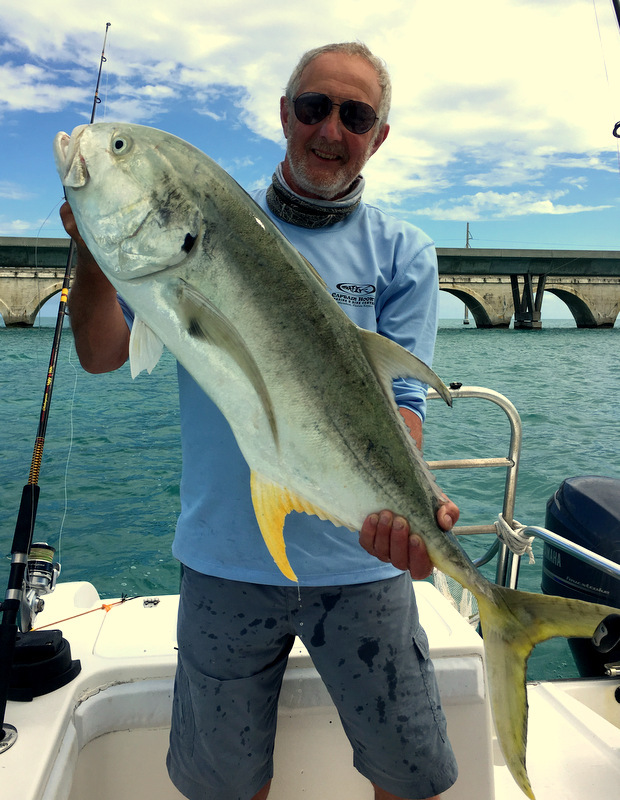 On an other trip of the Shipley boys from Jersey not only did Rob have a near 100 lb tarpon but Chris had a boat PB jack crevalle a 20 lb plus fish. 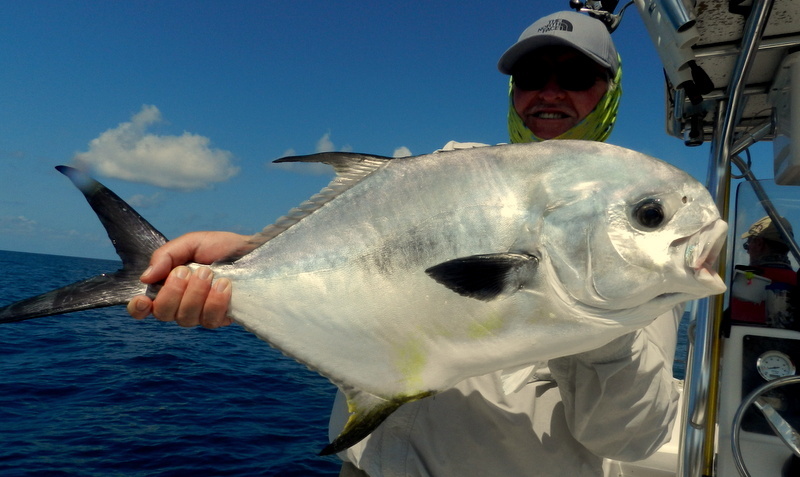 Knowing just how hard that jacks fight I bet that one pulled like a train and as we see Chris was more than up to the job stunning fish. 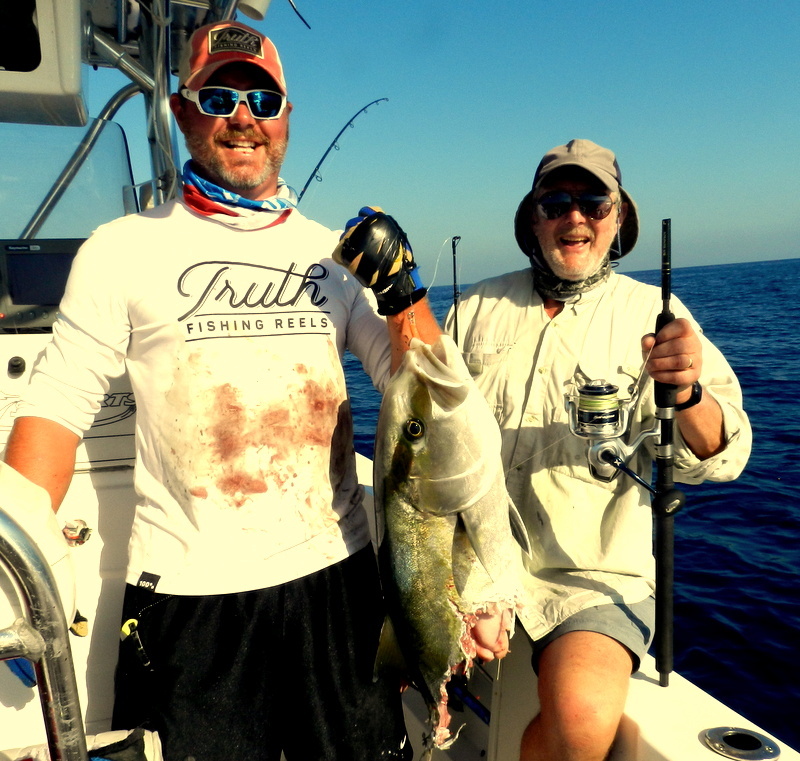 Keep the good work up Drew you will never know how much I wish I was there but when complaining to my doctors the other day one said ” stop bitching at least you are the right side of the turf ” but boy I wish the turf was 4000 miles to the west. 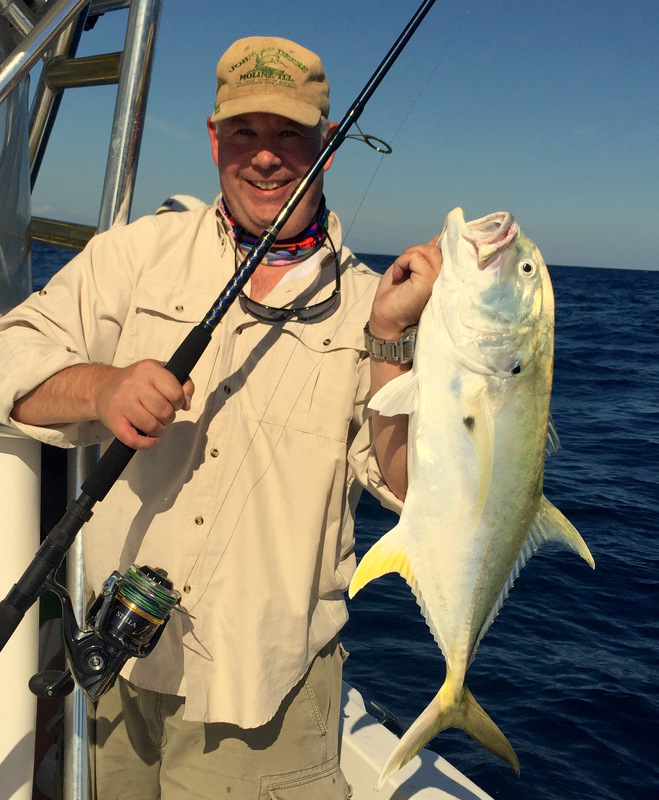 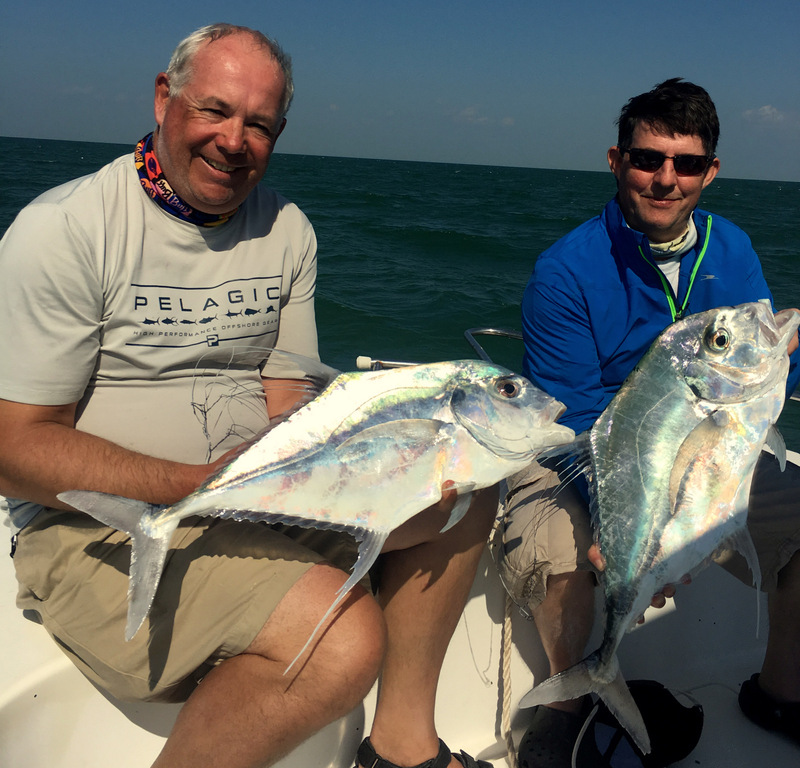 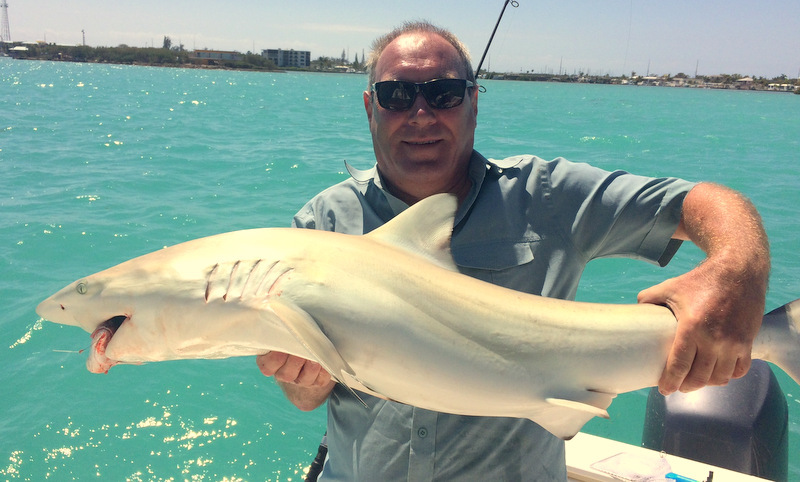 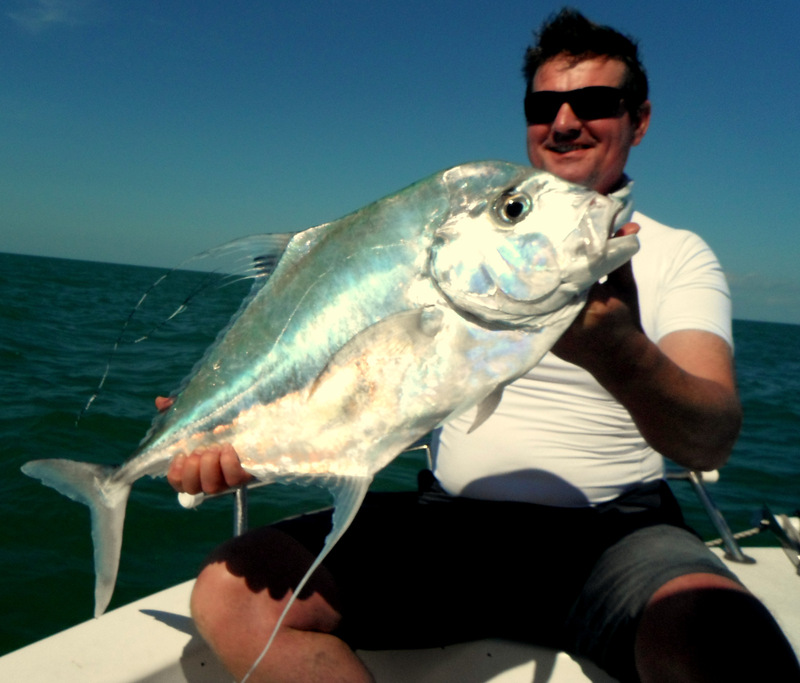 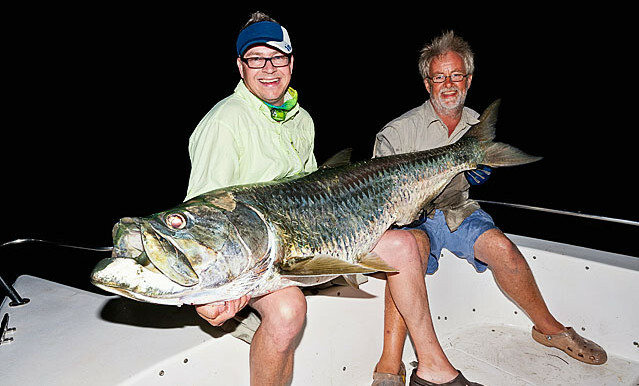 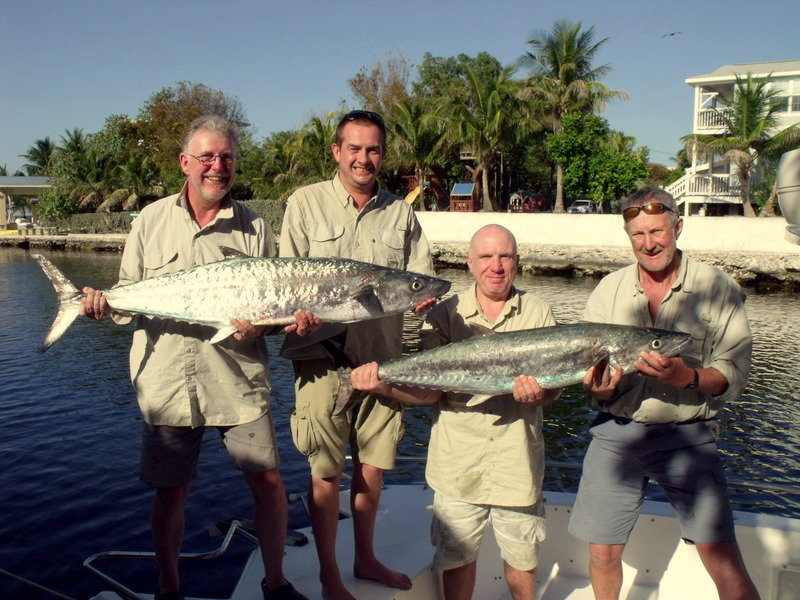 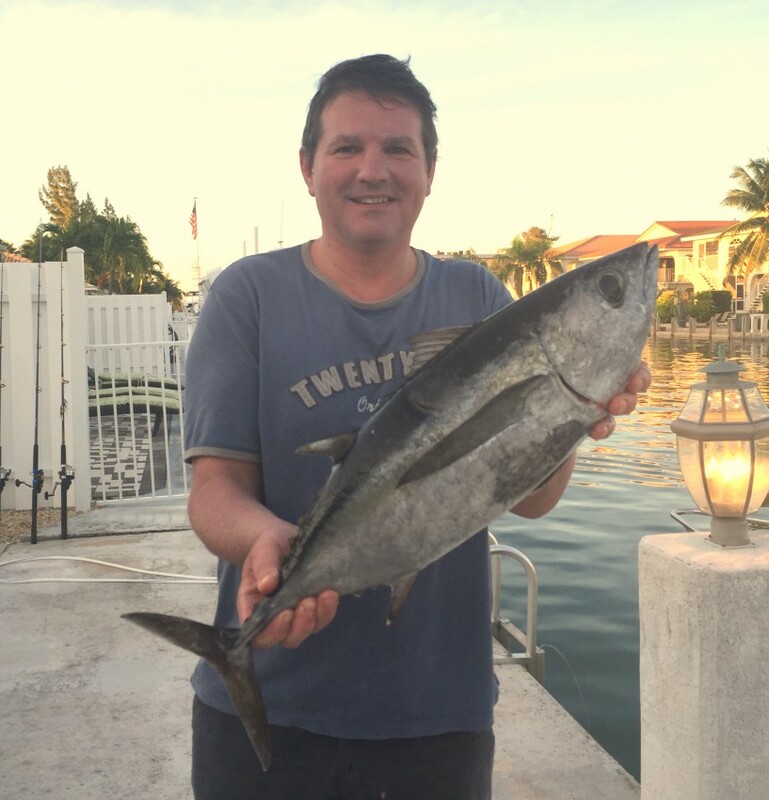 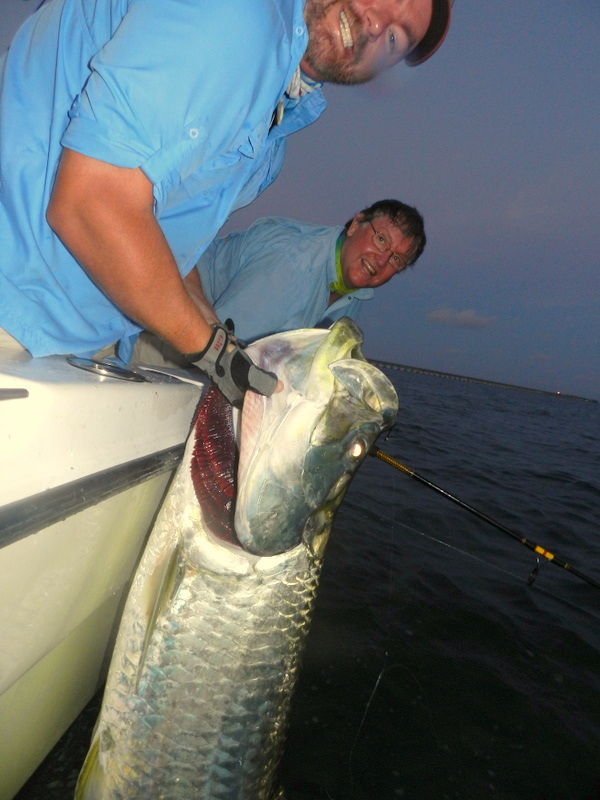 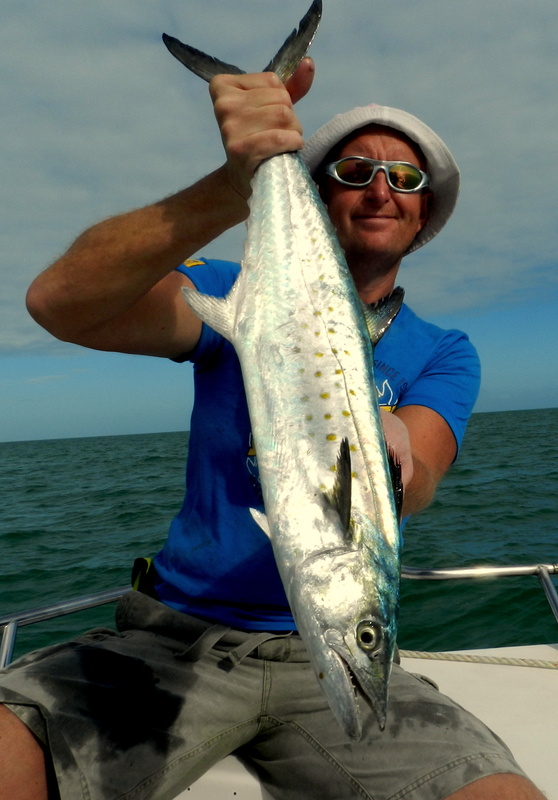 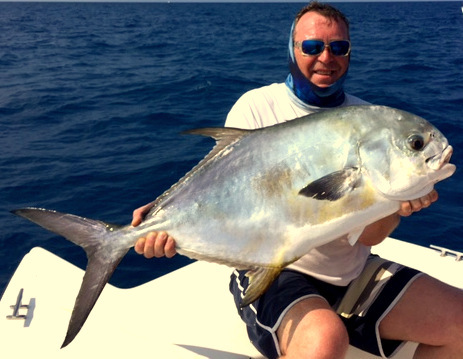 It was great to see John, Ian and Dereck back again for their annual Fishing Holiday in the Florida Keys. 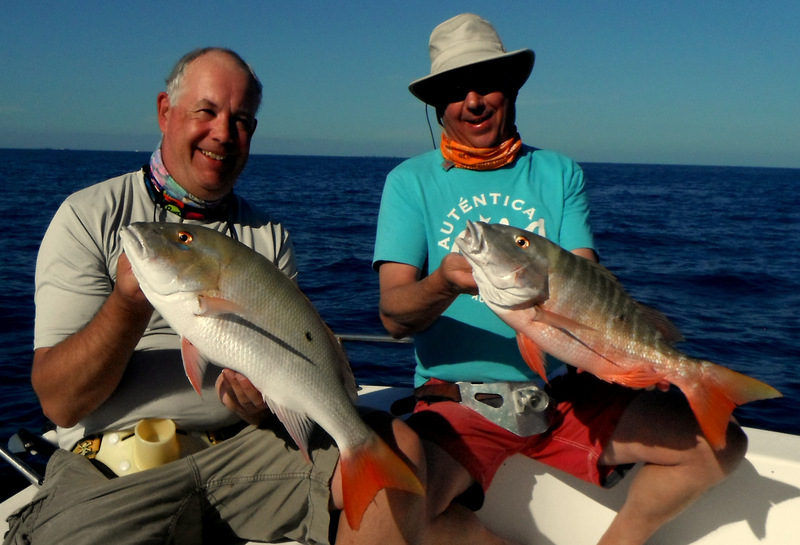 They are right up there as one of my top crews who just get how to have a fishing holiday. 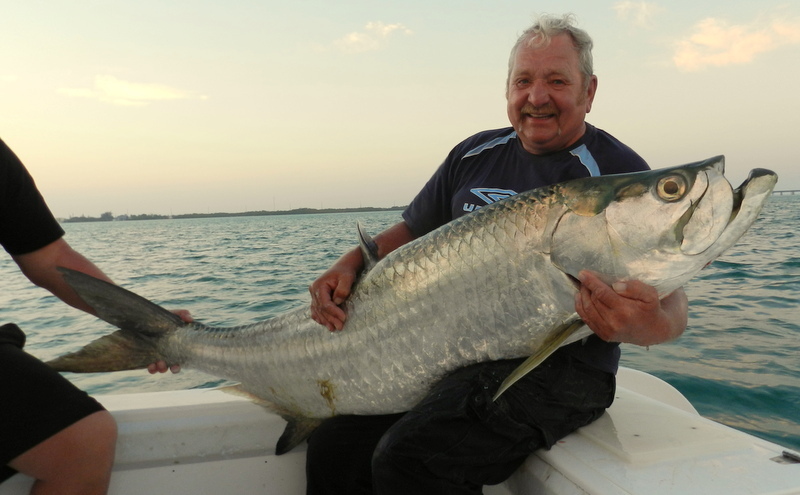 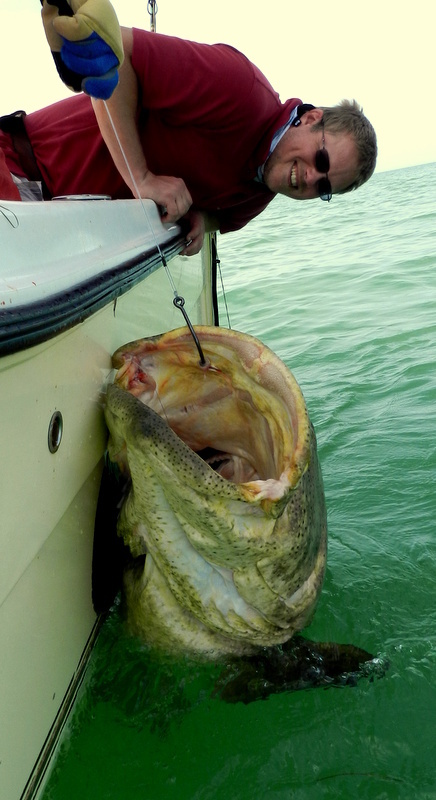 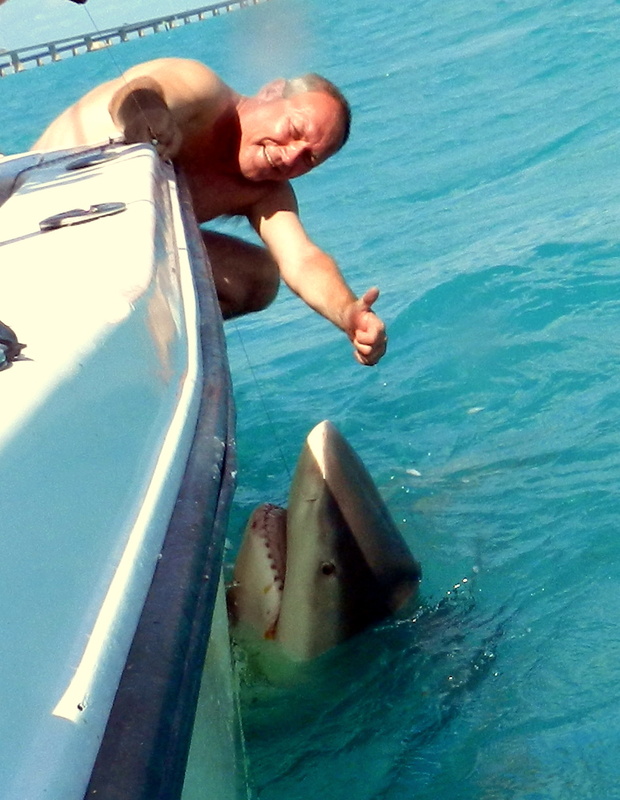 Yes they come to catch fish and yes they all like big but to them its a bit more than just about fishing. 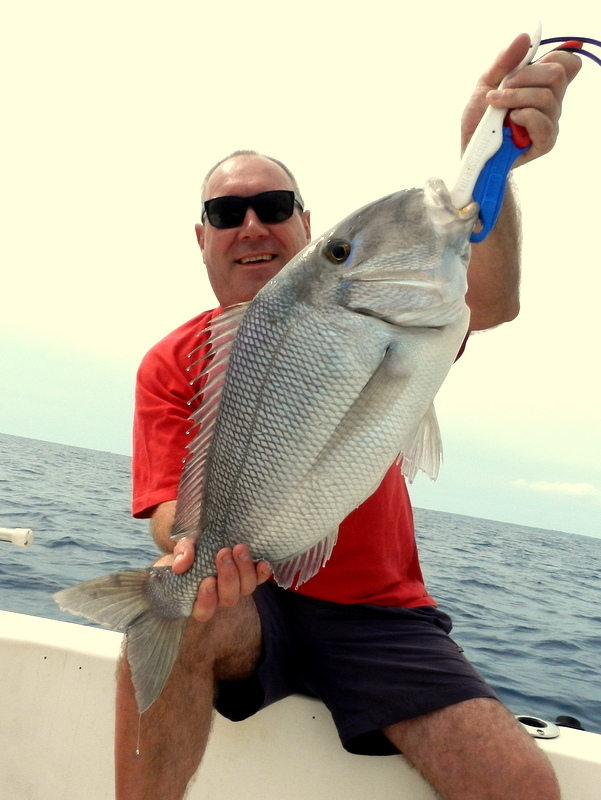 Most years they like to coincide their trip with the local Marathon Sea Food festival this had been going now for many years and is not just about the local seafood but all things to do with the sea from fishing to boats and all in between. 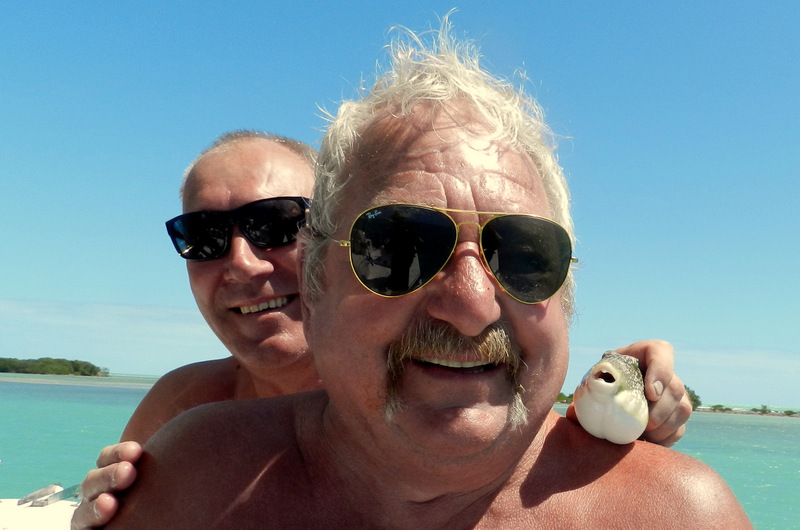 This year with good weather an other great success and a good time was had by all and from the tans and stories John’s crew was one of them. 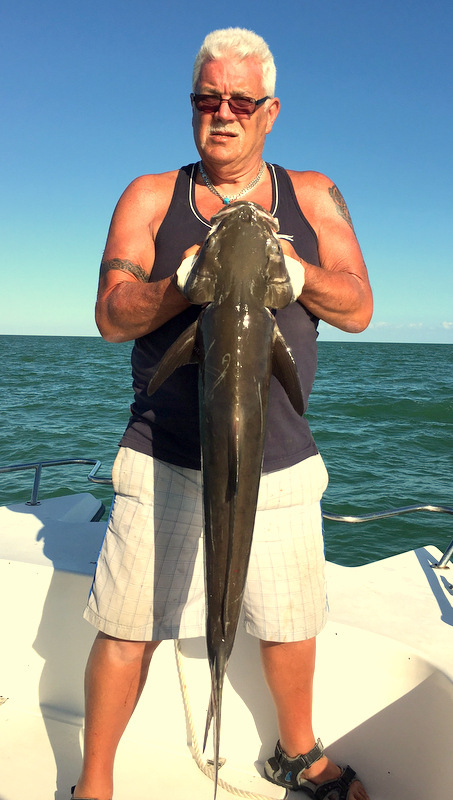 If any one else is interested just look up Marathon Sea food festival and you can see what it is all about. 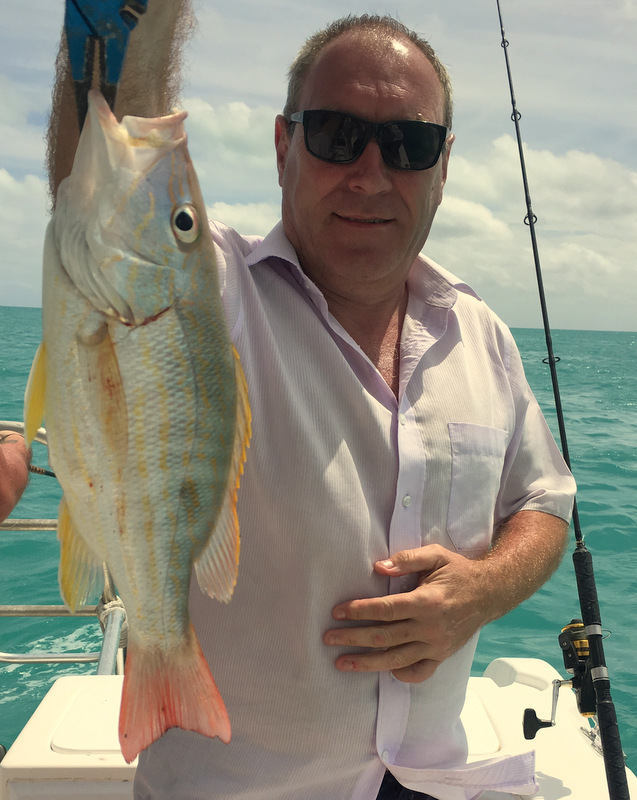 John came round the other day to let me catch up on all the fishing stories and just to say how much he enjoyed the fishing and how well he got on with our new Captain Drew Meyer. 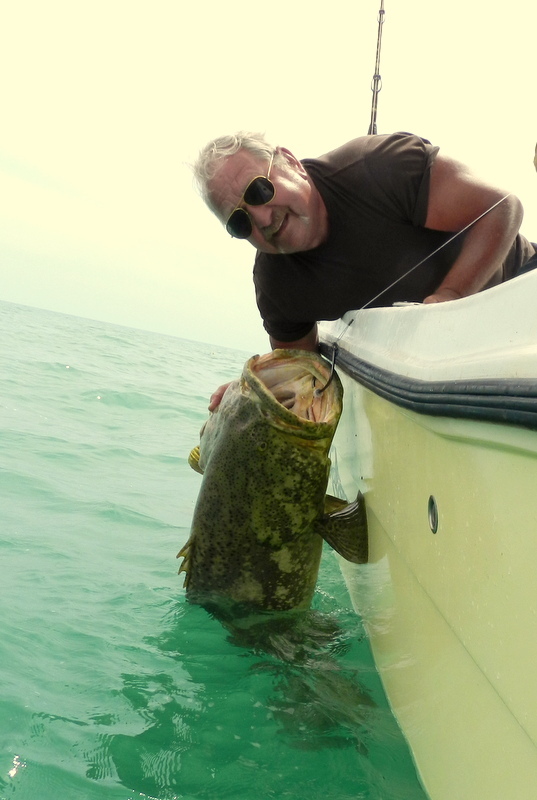 Capt Mike has moved on the lure of a bigger boat, bigger engines is just what happens in the Florida Keys I wish him well and both myself and my wife have many happy memories not only when he was our Captain but from the time he stayed in our house at one stage I thought Helen my wife wanted to adopted him she certainly feed him well. 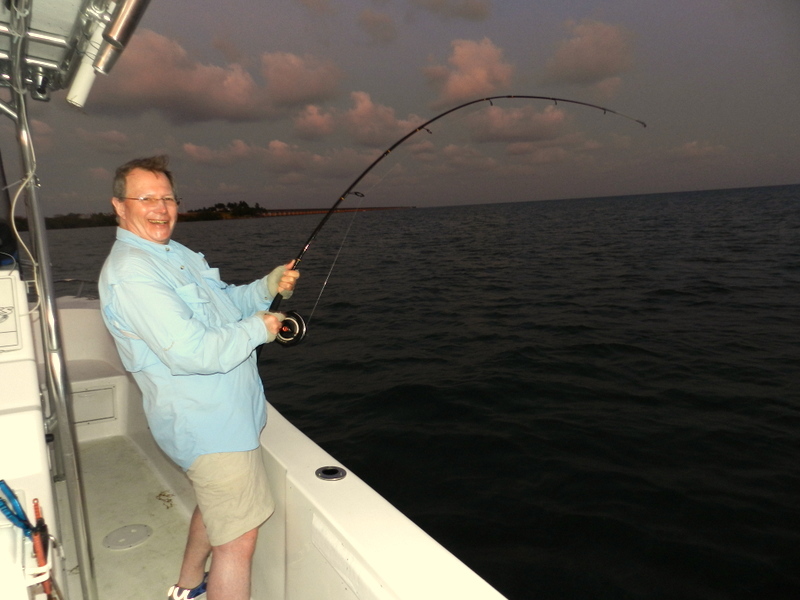 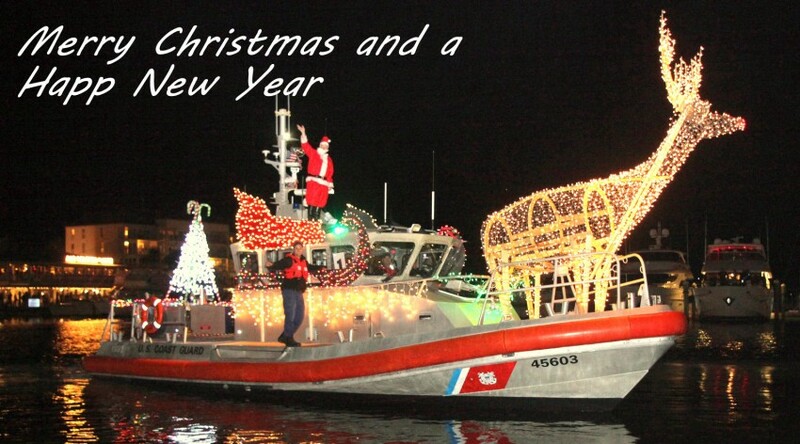 Captain Drew is fitting very well and all the crews have had nothing but praise and fingers crossed he will stay. 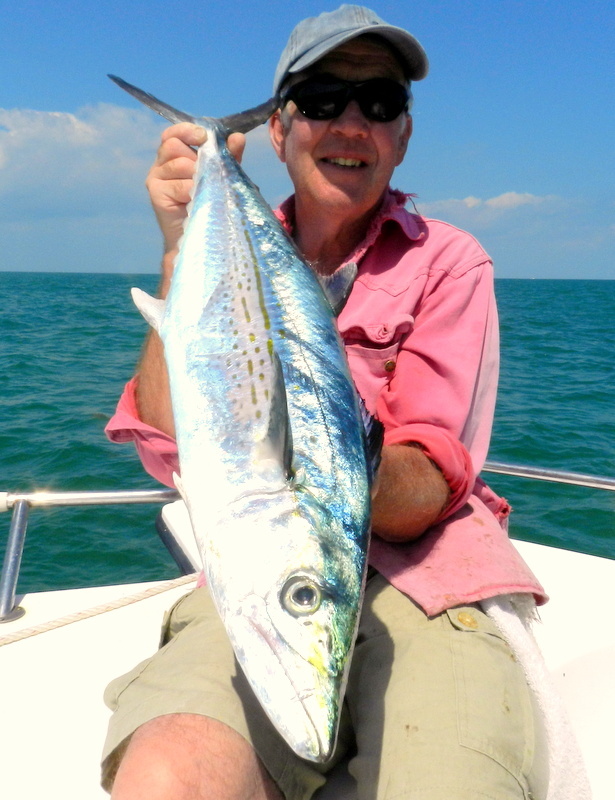 One of John’s funnier stories was something that happens a lot on the wrecks. 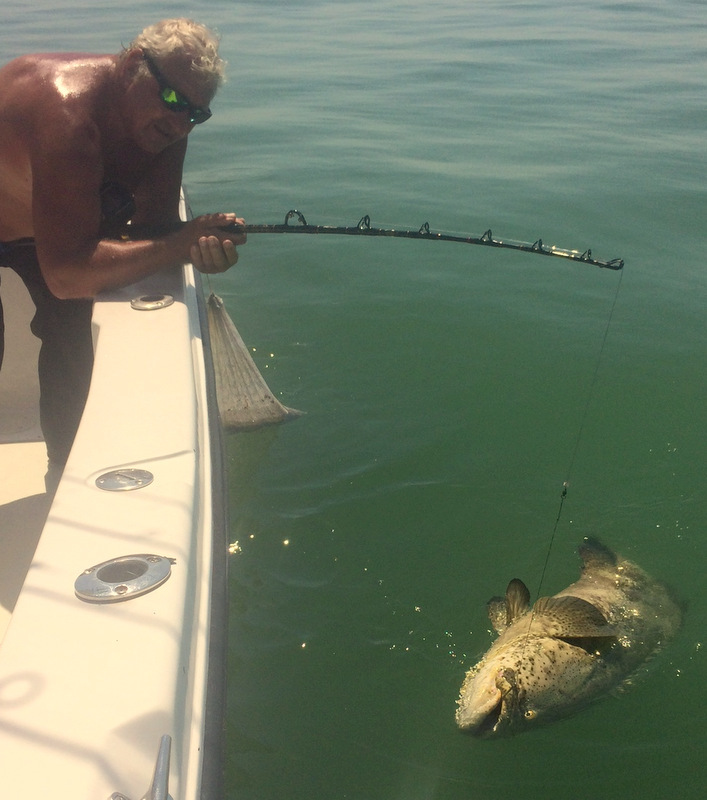 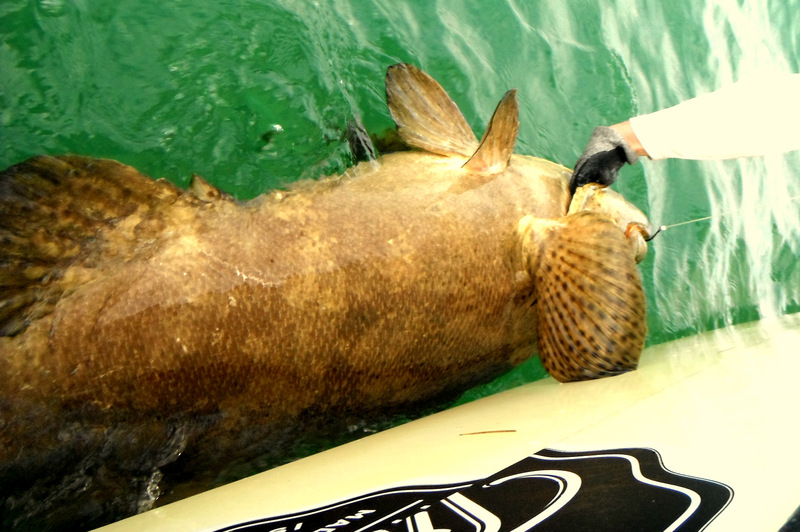 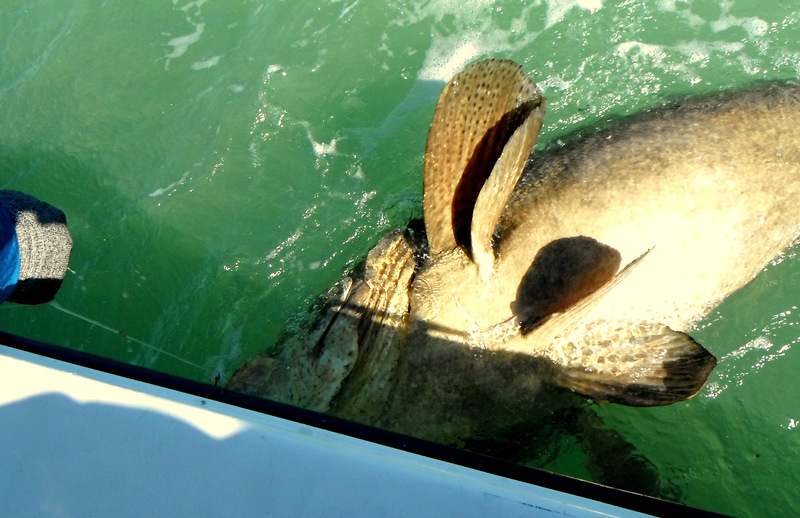 When we fish for our big goliath grouper we have to have the drag set to full from the start as you only have one chance to turn its head. 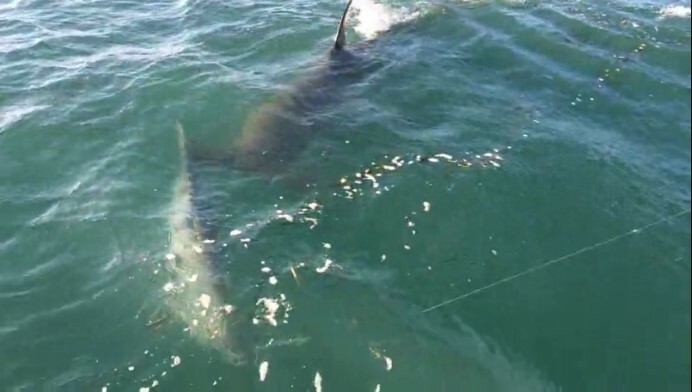 unfortunately this means that when something else takes the bait and wants to make a fast run away from the wreck no line will come off the reel. 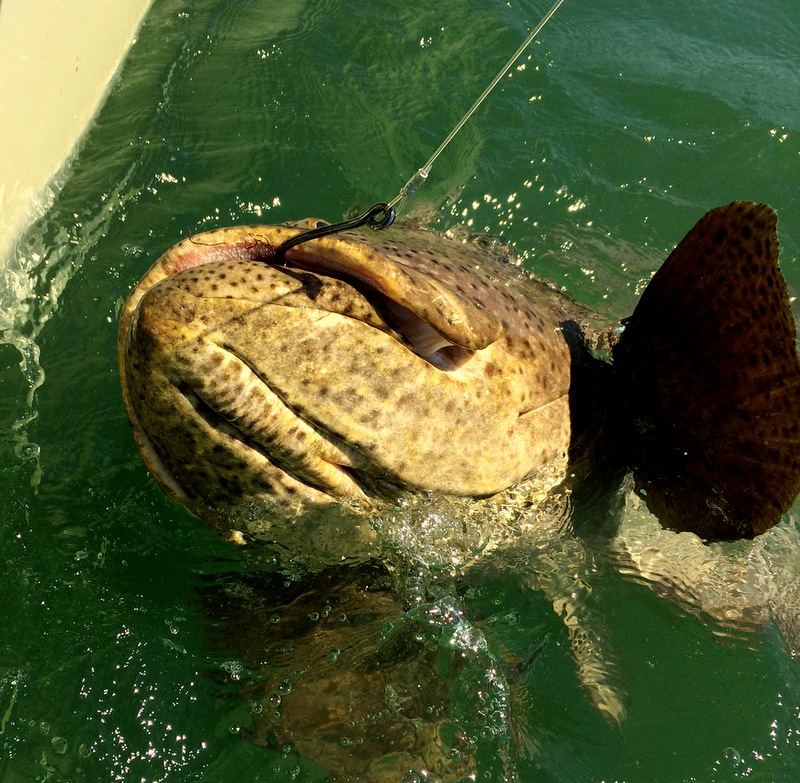 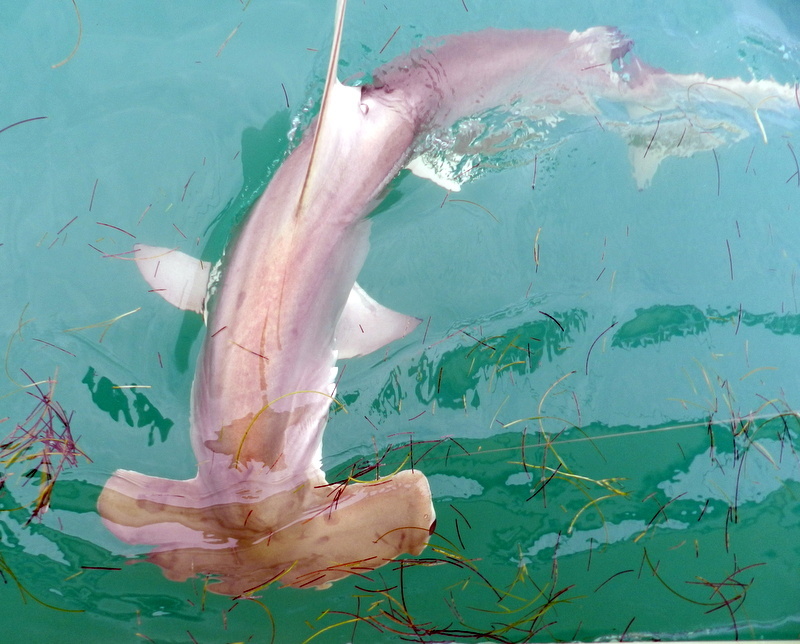 This happened to poor John the other week when his grouper bait was picked up by a monster shark it all happens so quickly you tend to worry about losing the rod than resetting the drag which with a lever drag means going to free spool first. 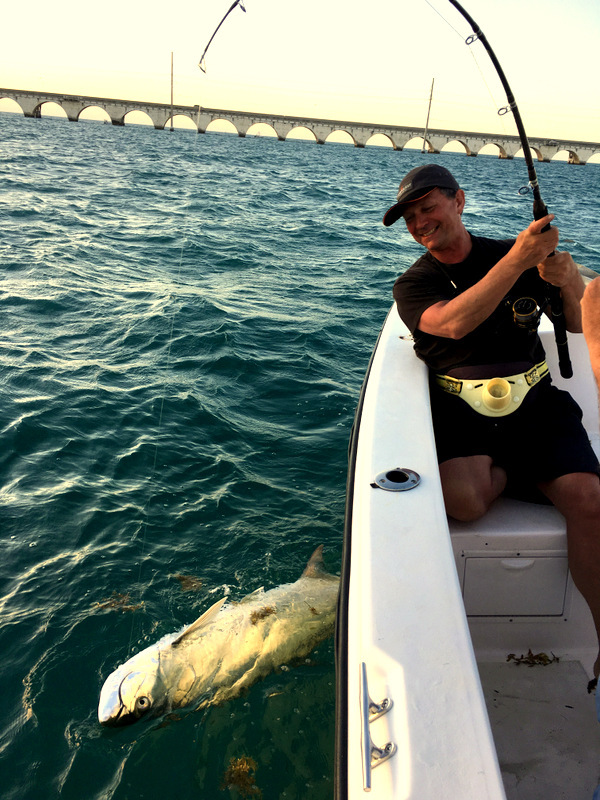 John was laughing about it telling us he was very close to going over I often say with a smile fine by me but make sure it’s all on video.